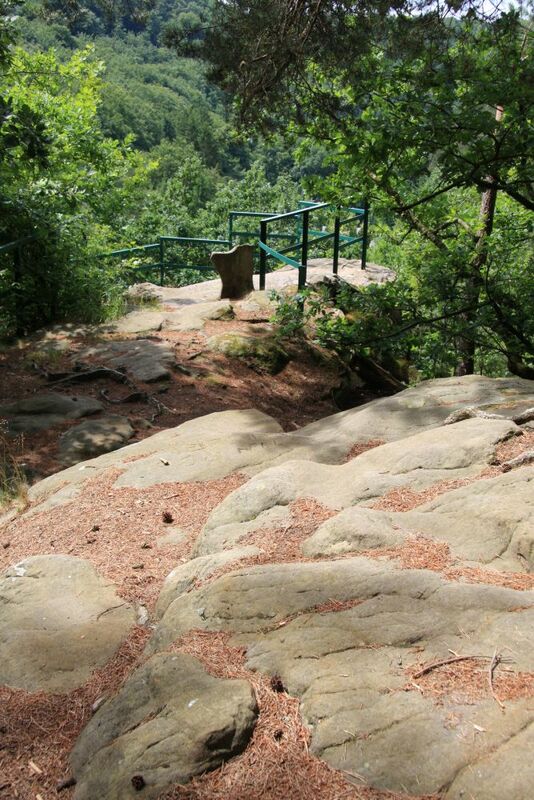 This short taster hiking trail gives a first impression of the bizarre rocky landscape of the Müllerthal region – Luxembourg’s Little Switzerland. After crossing the area of a former refuge castle – today it hosts a camping, football field and a playground – the path leads to a western expansion. 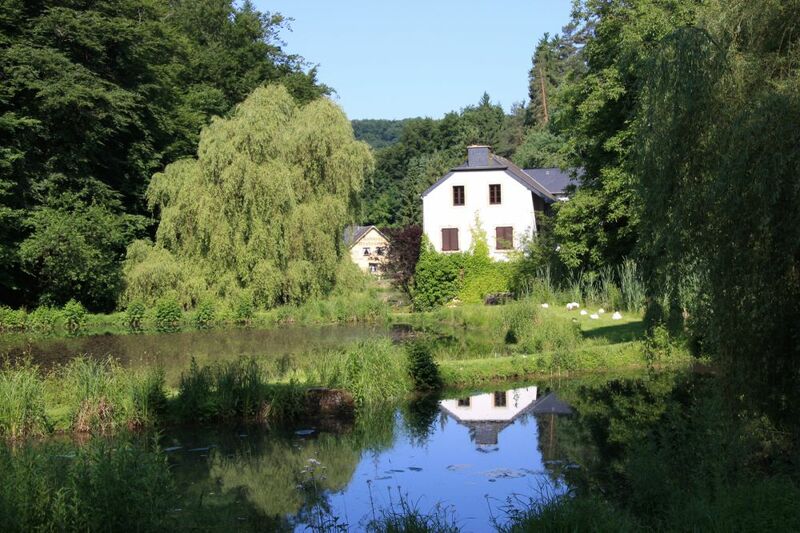 You will be able to enjoy a beautiful view over rough rock faces into the picturesque valley with Consdorf’s mill Konsdrefer Millen. Tricky stairs through a narrow gap between the rocks will lead you into the valley of Consdorf’s creek Konsdrefer Baach. After crossing the parking lot Fluedebuer and the main road, the forest trail leads down-creek for a bit along the Härdbaach. Over a narrow path, you will now have to climb up the altitude you descended, passing a small spring which is called Nidderbierchen or Nidderbierchelchen –small well – in the local language. In the centre of town, you will notice the remarkable, nationally protected gothic bell tower of the church. 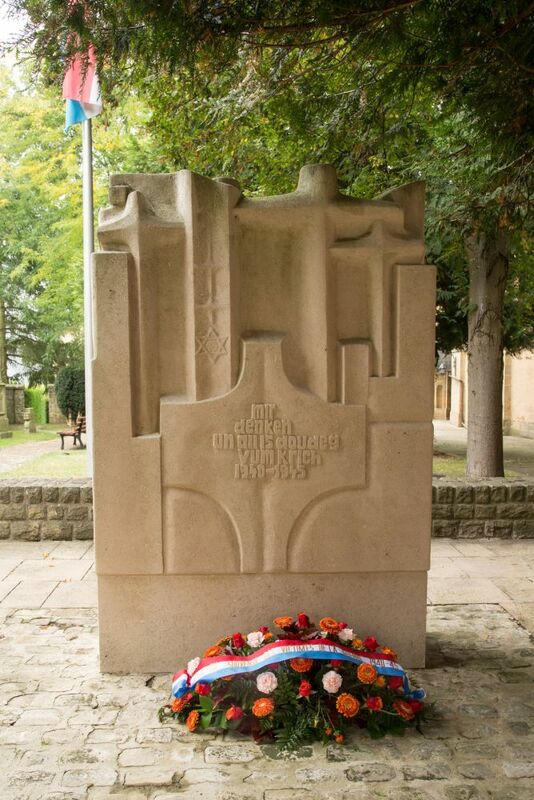 The memorial next to the church commemorates the citizens of Consdorf who died in the Second World War as well as the victims of a typhus epidemic that broke out in Consdorf in 1945. Walking past the primary school, the retirement home and the cemetery in the street “Buergkapp”, you will soon reach your starting point again.